15% OFF + Extra $20 e.l.f. Cosmetics Coupon - Verified 33 mins ago! Elf Cosmetics (also known as Eyes Lips Face) is a women's cosmetics brand and retailer headquartered in New York City, United States. Its products include makeup, bath and skin-care products, which are sold globally from their own retail outlets and partner stores such as Target, Kmart, Walmart, and Dollar General. They also have an online store located at EyesLipsFace.com. Here they are always running special offers and deals that you can claim by using our ELF Cosmetics coupons. We update the list whenever new codes are made available, so you're always sure to make savings when shopping through us. There are also ELF Cosmetics printable coupons if you prefer to shop in store. The privately held company is estimated to make around $5 million in yearly revenue, with Tarang P. Amin serving as CEO. Elf Cosmetics was founded in the summer of 2004 by Joseph Shamah and Scott Vincent Borba, who saw a gap in the market for affordable but high quality women's cosmetics. Thus their product range is priced mostly between $1 and $6. The website went live in February that year and was and immediate success thanks to innovative social media integration. It now generates over half of the company's sales. In 2014 after building the brand in to a multi-million dollar success, TPG Growth bought a majority stake and Shamah was replaced as CEO. Borba remains with the company. 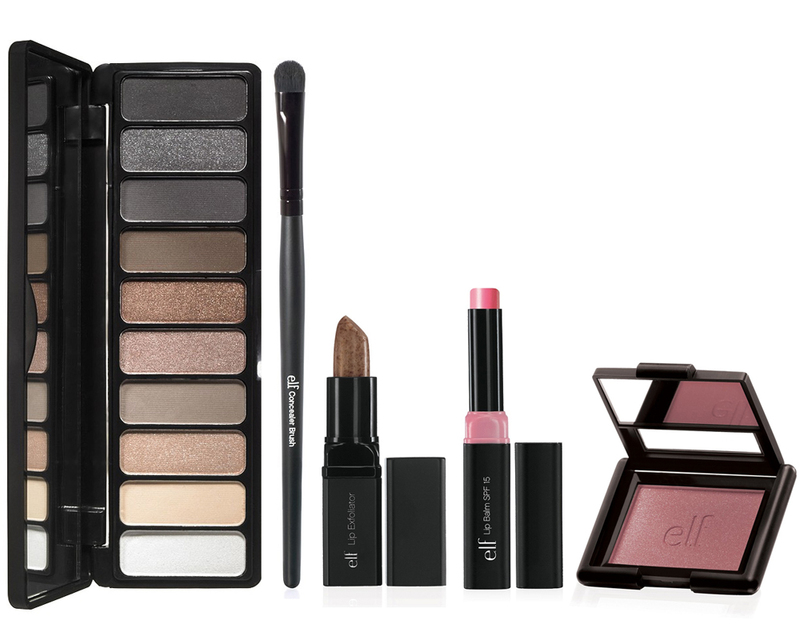 As the name suggests elf stocks makeup and cosmetics for the Eyes (eyeshadow, eyeliner, mascara and more), Lips (gloss, lipstick, liner and more) and Face (foundation, concealer, bronzers and more), as well as Skincare, Tools & Accessories, Nail Polish & Accessories, and Palettes, Sets & Bundles of multiple items. You can also browse products by keyword, best sellers, and sale items. Gift cards are also available so the recipient can make their own purchasing decisions. The site is very easy to use, allowing you to browse via the above categories or use the search bar if you have a good idea of what you're looking for. There are also handy user reviews and ratings to help you make up your mind. There's also a Sales section if you're looking for a bargain, which you get even cheaper by using a discount ELF Cosmetics coupon code. Debit cards with the Visa or MasterCard logo, and Paypal. Ahead of payment you should see a promotional box where you can enter any ELF Cosmetics coupon code. Elf ship to countries across the world from their own localized websites. From the main EyesLipsFace.com site scroll to the bottom of the page to choose from the UK, France, Australia, Spain, Italy, the Netherlands, Germany, Mexico, Romania, Thailand, Denmark, Norway, and Switzerland. The .com website caters only to US customers with free shipping on orders over $25, which is usually $4.95 and takes between 4 and 9 days to arrive. You can also pay extra for 3 Day, 2 Day, and Next Day options. You do not need to register to checkout with Paypal. Due to the low cost nature of Elf products they do not support returns or exchanges if you have changed your mind about a purchase, but they will replace items that are delivered in a defective or damaged condition. Contact customer support for further guidance.